Jeramy has always been a keen, punctual and reliable employee, the type who would make any employer proud. 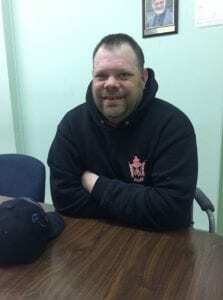 So he was at a loss as to how, after months of searching for work in Port Alberni, he was unable to find employment. Unfortunately, Jeramy’s story is like so many others here in the Alberni Valley. After moving to the valley from Squamish, where he worked at a local grocery store stocking shelves, produce and assisting with daily operations, Jeramy noticed there seemed to be a shortage of permanent positions with local employers. Jeramy had dropped off many resumes, and was even called in for interviews with several prospective employers. Unfortunately, nothing worked out, and Jeramy was beginning to feel discouraged. Luckily, on the good advice of his father and friends, Jeramy was referred to INEO Employment where he met his former Case Manager, Guy. Through the many programs and supports INEO has to offer, Guy assisted him in finding regular work at the Bread of Life. Jeramy is now happily working washing dishes and doing food prep. He is incredibly grateful for the help and support of his case manager, Guy – who he describes as a wonderful, helpful man – and the entire INEO team, in assisting him with gaining the skills and equipment he needed to find steady employment. Way to go Jeramy – Keep up the great work!